Elaine Hancock (Olney, United States) on 20 July 2014 in Landscape & Rural. They are handsome. Grayscale is fine effect. J'adore superbe cette photo! !5* un B&W superbe! Quel cadrage quels silo superbe vue et effet. The choice of low angle view (contre plongée in french) gives a impressive effect. Very well done and beautiful B&W. So huge and impressive. They say our defense dept. hides missiles in them and the ambiance of this great image almost supports that. 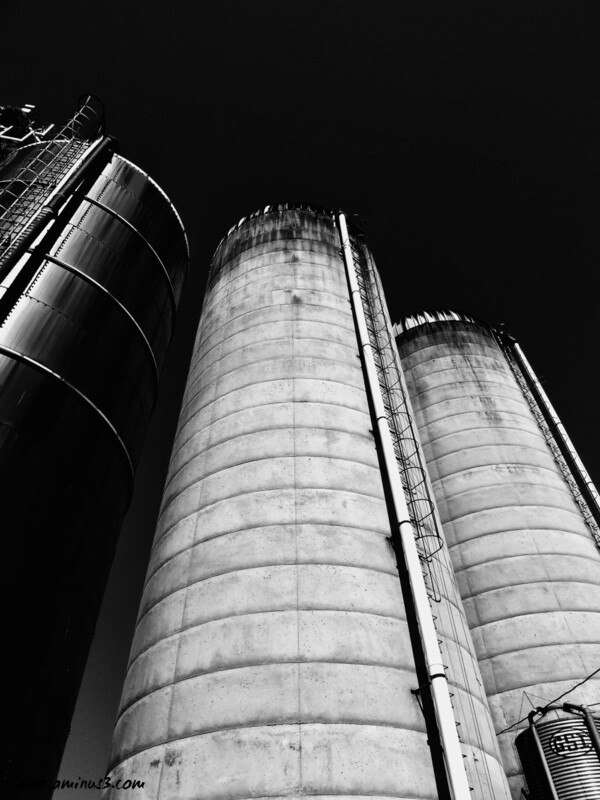 The dark sky helps gives these silos a very strong emphasis. The dynamic look of the shot is excellent. Nice PoV and nice treatment. This B&W is perfect ! Great POV and fantastic B&W!!!! Wonderful dramatic b/w and composition! Love this!